Jo's son was having seizures for years. Then they tried medicinal cannabis. 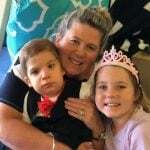 We first realised our son Cooper, six, had Epilepsy two years ago, most likely resulting from his chromosome deletion. 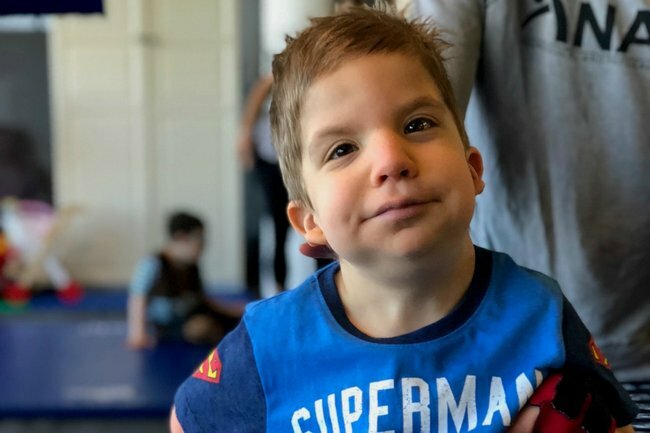 Cooper faces many challenges daily as he learns to walk and talk and feed, but hands down his Epilepsy has been his worst hurdle to date. We’ve tried an array of traditional medications over the years but with very little success. Throughout our trial of the various medications, he was still having a lot of seizures. Most of the seizures were what we call ‘knockouts’, where he would go stiff and stare vacantly for 60 to 90 seconds. After these seizures it was like he had jogged a marathon, Coop would sleep for up to five hours. He was averaging about 10 of these a week and sometimes two to three a day. We tried everything, hoping for some miracle – nothing worked, not even the strongest medications. The first I heard about cannabis oil was through a therapy mum. 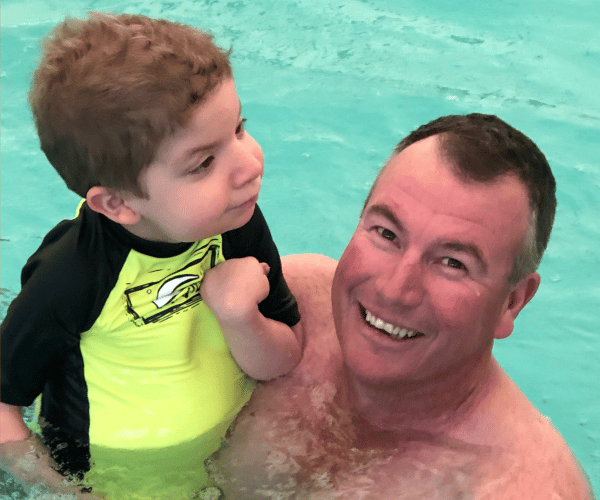 Coop does most of his therapy at the NAPA Centre in Lane Cove. One of the mums there had been sourcing cannabis oil from a health and wellbeing store in Western Australia. I thought why not and ordered some too – we had nothing to lose. The cannabis oil was OK, but it certainly wasn’t stopping Cooper’s seizures. We tried everything, hoping for some miracle – nothing worked, not even the strongest medications. Image: Supplied. I persevered with it until the government put a freeze on this type of cannabis oil and we then we couldn’t buy it anymore. Later, I went to a Hemp Expo and found a place in Nimbin that sold cannabis products. My husband and I knew this would be risky but were out of options. We were very keen to get Cooper on a medical cannabis clinical trial but, unfortunately, he didn’t fit the criteria. In October 2017, after a lot of pleading on my part, my paediatrician told me you could now legally access medical cannabis through a prescription, which is properly dosed and trialled, like any other pharmaceutical. He recommended a product from a Canadian company called Tilray, one of the biggest producers of medical cannabis in the world. I researched them and found they are also involved with many trials here in Australia and while they’re a global company, they also have an Australian base. We started on the Tilray product just over 12 months ago. Our paediatrician guided us through the use, starting Cooper on small doses morning and night. It took a bit of time to get into his system and we were conservative in our approach. By the time we reached what was considered a reasonable dose for a 15kg child, it was the end of January. We had our last seizure on February 18 2018. This medication has changed our life. 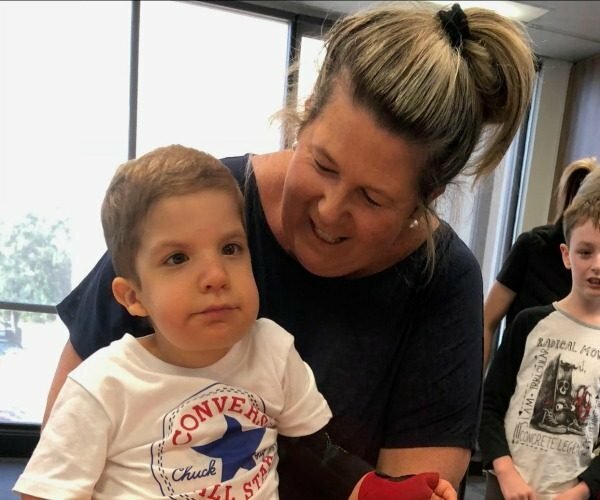 "We were very keen to get Cooper on a medical cannabis clinical trial but, unfortunately, he didn’t fit the criteria." Image: Supplied. We need Coop to thrive, to put on weight, but with every kilo comes a potential increase in dose – which ultimately means a further increase in price. Unfortunately, medical cannabis is not subsidised on the Pharmaceutical Benefits Scheme (PBS) like other pharmaceutical medications. We are in a position where we are paying out of pocket for a medication that has changed Cooper and our family’s life. I believe this medication should be recognised and covered accordingly by the government like the other pharmaceuticals that have tried and failed us over the years. We are not wealthy by any means, but we will do whatever it takes. I’m a mum who will pay any amount of money to get a rid of these seizures. No family should have to live with the worry and uncertainty attached to seizures. They are 100 per cent life controlling. This medication has given us back our lives. I would never have believed this possible 12 months ago. For us the results have been amazing. For this reason, we are committed. My husband and I would do whatever we have to do to ensure we are in a financial position to be able to keep this up. The government needs to make it easier for people to have access to medical cannabis, but not at the price we are having to pay. Products should be covered by the PBS nationally. 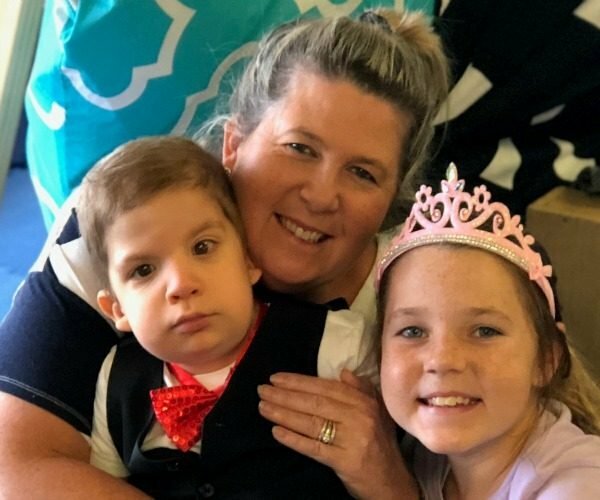 In Victoria there is a Compassionate Access Scheme for seriously ill children with severe intractable epilepsy and in Tasmania the government is subsidising medical cannabis for patients through all hospital pharmacies. We still have a lot of ground to cover. "This medication has changed our life." Image: Supplied. Being the parent of a rare bear, life is tough enough. When there is something out there that works, shouldn’t this be available for everyone? I don’t want any family to go through what we went through. I believe everyone should have access to this amazing product. At the moment we are in the best position that we have been in years. Cooper started big school and we haven’t had to miss a day. I hope this continues.